Tips to have that stress-free wedding you have always dreamed about! You have pictured your wedding day in your head time and time again. You have imagined all your bridesmaids, friends and family coming together. I bet you have pictured every detail to make your wedding special for all your guests and you. After all, your wedding represents not only two people's’ lives coming together, but it represents countless lost hours of free time. Thousands of beloved calories left behind on the table. Along with all the hard earned cash you spent to represent one of the most memorable days of your life. Now, do you want to be that bridezilla who is SO stressed out they can’t even begin to enjoy their day? NO, right? So, it is important that when the big day finally arrives, it is smooth as butter, and as stress-free, as you can possibly make it. It is hard enough to make it all come together perfectly, and you don’t want to waste all of your precious time and energy stressing about the details! Who wants to walk around stressed out snapping at people? Who wants to lose that needed beauty sleep worrying? Who wants to lose track of if they fed the dog or not? Who wants to fight with the love of their life when they don’t need to? 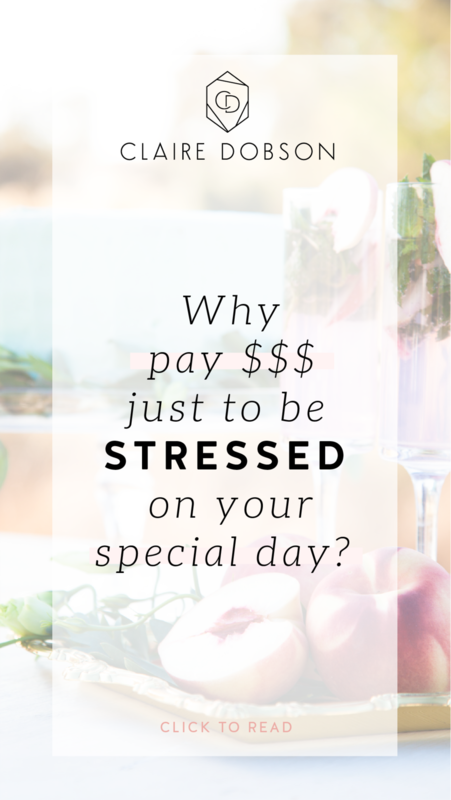 It’s as if you are paying to be stressed out and just throwing your $$ out the window! Your wedding day needs to be, and SHOULD be a fantastic memory and celebration of your love, shared with your family and friends. It SHOULD be fun, celebratory, joyous and an amazing start to your fantastic new life. If you could have your dream wedding, I bet that you would want it to be a hugely awesome experience! And, I bet you would like it to go off without a hitch knowing all that cash spent, was soooo worth it! Just think about all the glorious sleep you could have knowing that you have it all under control!! 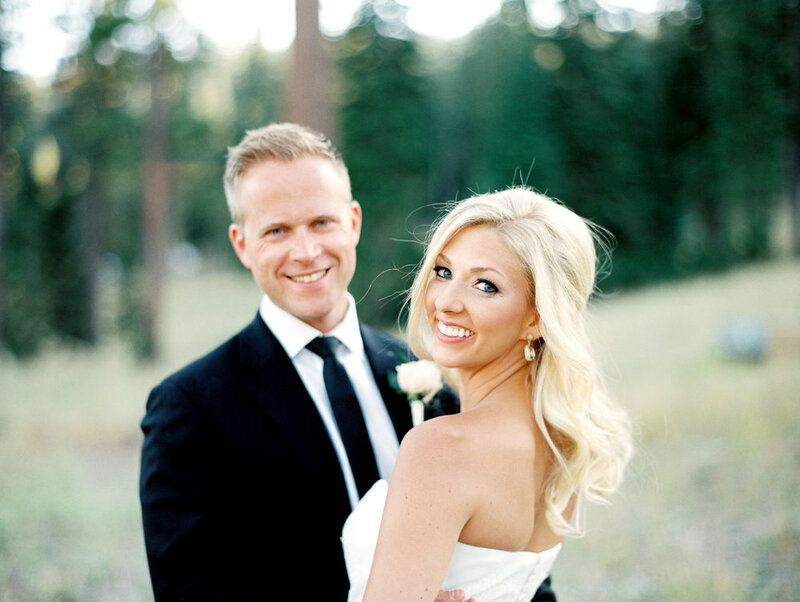 Now, are you and your significant other ready to plan your dream wedding? You and your spouse will have so much more fun on your big day when you are in control of your plan. Your guests will have fun and … what a fantastic way to start your marriage! The answer to having that stress free dream wedding is easier than you think. It is pretty simple too, you just have to follow some basic guidelines to get you through! This sounds pretty basic, but you would not believe the number of brides that choose their vendors on price alone! You will be handing over so many important details to your vendors, it is up to you to get in there and really make a connection with your vendors. You should know that your vendors have your back and that your business to THEM is very important. Hire vendors you can trust, not just vendors you can afford. I know, time is hard to come by when you have so much on your plate. But, if you don’t make the time to make good choices and finalize the important decisions, the stress bug will creep up on you when you least expect it. Cake or cupcake? Pro photographer or Uncle Jim? While Uncle Jim might be a wiz with his camera and come with a tiny price tag, will you ultimately get all the shots you want? Take the time to research and decide, and then you will know you are being taken care of, and you are getting just what you want. Yes, you need this. Are you unsure about how this should look? Do a bit of research, ultimately the timeline is yours to build in any way you want. Short and sweet, or a long, detailed affair...either way, make sure you map out your day. What the?? Family formals = all those pictures that every single aunt, uncle, cousin, and nana want to take with you and your spouse. You don’t want to inadvertently leave anyone out of the pictures, so make sure and make a list of all the pictures you want taken. Nana will thank you for that one later! Easier said than done, right?? Wrong. You can do it! Like most things in life, the easier and simpler, the better. If you have a grand idea, write it down. Now, go back and find a simpler solution to that idea, and make it easier on you, your spouse and your family. Oh boy, yeah repeat that out loud again! This is YOUR wedding. Do it your way, your style and in a way that you are comfortable. Just because Nana had 12 bridesmaids and 4 flower girls and a double procession doesn’t mean you have to. Come on darling, it is 2017. We do things now that our parents never dreamed of. Want a traditional wedding? Then, get in there and do it. If you want something more untraditional and unique, then that is fine too. Either way, you don’t have to go crazy and include everything. Go ahead and include a few things that are important to you, your spouse or family. But, wow…. You don’t HAVE to stress yourself out with every single wedding tradition. Now, are you ready to have that amazing stress-free wedding?? Great! I want you to sit back and take a big deep breath. Visualize what you want. See yourself at your wedding living it up!! To get more FREE tips on how to look your best in front of the camera click here to get them delivered to you on a silver platter!